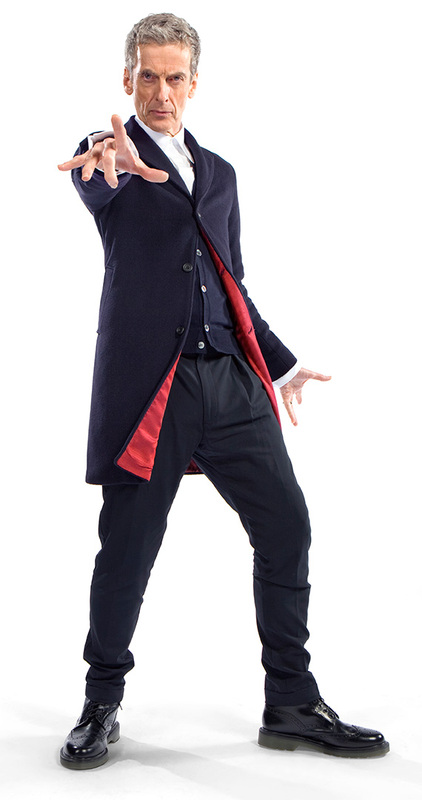 Full Picture Here – The BBC has just released the first image of Peter Capaldi in his costume as the Doctor. So what do you think? The count down continues to the November 23 premiere of the Doctor Who 50th anniversary special “The Day of the Doctor.” The BBC has released a special tribute to celebrate the series’ half-century milestone. Earlier in the week Doctor Who TV asked you to vote on the missing episodes you most wanted to see. Ahead of the impending announcement we can now present the results. Unsurprisingly, the Dalek stories reigned supreme claiming the top three positions. Of the three, The Power of the Daleks comfortably took the top spot to become your most wanted. 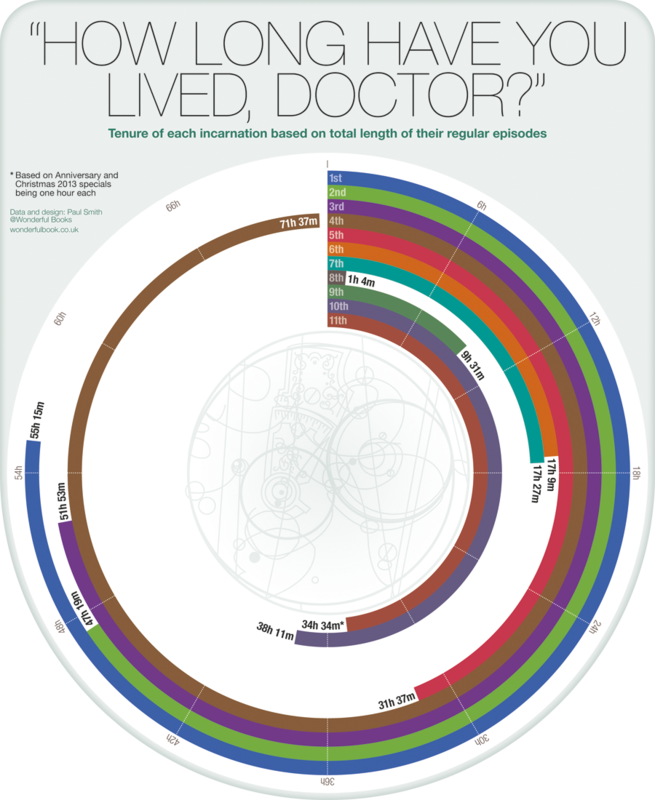 More than 100 lost Doctor Who episodes were found by dedicated fans…in Ethiopia? A group of dedicated Whovians have tracked down 100 long-lost episodes of the show that have been gathering dust 3,000 miles away in Ethiopia. The BBC ­feared the programmes from the 1960s, featuring the first two doctors William Hartnell and Patrick Troughton, had dissapeared forever after the BBC discarded a bunch of old footage. If the tapes are returned to the BBC in time, they hope to announce the news to go along with Doctor Who’s 50th ­anniversary next month. The lost episodes from the 60s include fan favorites from The Crusade, The Enemy of the World and The Ice Warriors series. In the four-part Crusade story Hartnell and his ­assistant Vicki, played by Maureen O’Brien, travel in the TARDIS to Palestine during the 12th century when King Richard the Lionheart was battling with the Saracen ruler Saladin. After only airing once between 1964 and 1969, these copies were sold to the Ethiopian Agency and the BBC lost or disposed of the originals. As the BBC still owns the copyright the episodes could be digitally remastered before being released to the public. It must be getting old really quick for Paul McGann to have to deny rumors about making an apperance in the Doctor Who 50th anniversary, but it doesn’t help that the majority of these rumors come directly from his personal Twitter feed. How the second Doctor, Patrick Troughton, saved Doctor Who. Doctor Who may have not lasted fifty wonderful years if the plot device of Time Lord regeneration was not created. Patrick Troughton played the second incarnation of the nortorious Time Lord and he will be featured in a 50th anniversary docudrama titled An Adventure in Space and Time by Reece Shearsmith of the League of Gentlemen. 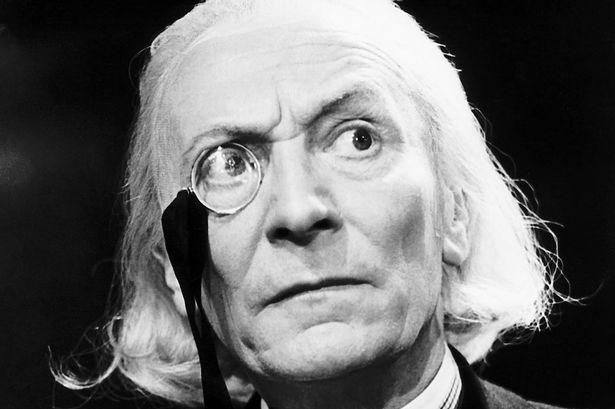 When William Hartnel began to suffer from poor health in 1966, the idea to have the Doctor regenerate gave the show the ability to recast their star character. 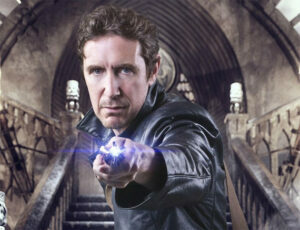 This was a risk however, as viewers might not accept that the Doctor could change in appearance and personality. And even if they audience accepted that idea, would they like the new Doctor? It was an incredibly big gamble and that’s why fans often say Patrick Troughton had the hardest job as the new Doctor. The Doctor’s first regeneration is a tremendous sight to see and Troughton appears along with the sound of the Tardis materialising. There was some initial backlash at first. Fans of the show missed the Doctor they had already come to know and love. It’s truely is a testament to Patrick Troughton’s skills as an actor that he was able to be such a successful Doctor. 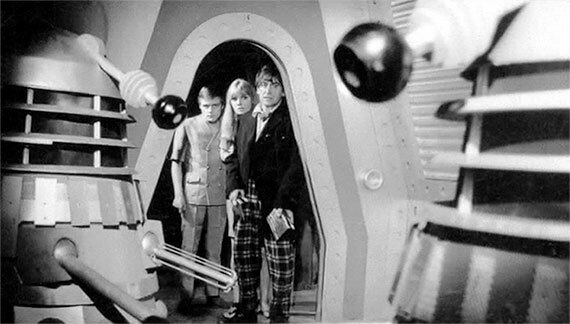 Patrick Troughton added his own personal touch to the character. The Doctor was no longer a grandfatherly gentlemen that Hartnell’s Doctor was, and became a more playful man with a mop of dark Beatles hair that fit perfectly with the era of the 1960’s. The new Doctor brought a more enthusiastic and energetic quality to the role. Troughton’s three year run as the Doctor thoroughly established Doctor Who once more as a family favourite but took the show into new territory. The prominence of historical stories lessened and futurist stories became a stronger theme both on Earth and elsewhere in the universe. The Cybermen returned and became much more menacing than previous encounters. The organization UNIT as well as Brigadier were introduced doing battle with Yeti and other fearful creatures. The Time Lords were also introduced for the first time in his final story, The War Games, where they punish the Doctor for his interfering in the affairs of alien races and sentence him to regenerate again and be exiled to Earth. Patrick Troughton was a trailblazer for every new Doctors that followed and he remains a fan favourite. He returned to the show three times in the Three, Five and Two Doctors stories and attended Whovian events for almost twenty years after leaving the rold. He passed away while at a Doctor Who convention in America at the age of 67 in 1987. His legacy as the Doctor is immense and it’s hard not to see similarities between Troughton and eleventh Doctor Matt Smith. Between the bow ties, hilariously expressive face or the rediculous way they run it’s clear that 2 and 11 are both cut from the same Time Lord cloth.